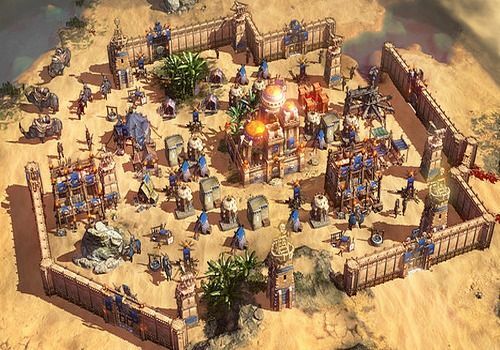 The game Conan Unconquered was announced for the second quarter of 2019. Funcom has announced the upcoming release of its RTS located in the universe of Conan the Barbarian, a first for the hero rather used to RPGs and virile survival. The Cimmerian will have to preside over the destiny of fortified cities attacked by hordes of soldiers eager to seize the country's nerve centres. The player will have to protect the cities with more and more resistant ramparts, better and better equipped soldiers and also devote some of his time to invoking a Colossus who will crush the opposing troops like ants. This game includes a solo campaign, also available in two-player CO-OP mode, because everything that happens in Cimmeria requires strong nerves and steel muscles. The adventure is inspired by the history and dependencies of the "Black Colossus", to better anchor this strategy game in the legend of the most famous barbarian in 20th century literature. A first trailer was released, featuring the developers and some game screens in action, where you can watch a battle in real time. The game will be released for PC in mid-2019, on Steam and other distribution platforms. "Wall" is a new game, original, and fast puzzle game, with rhythm, easy to play but difficult and addictive.